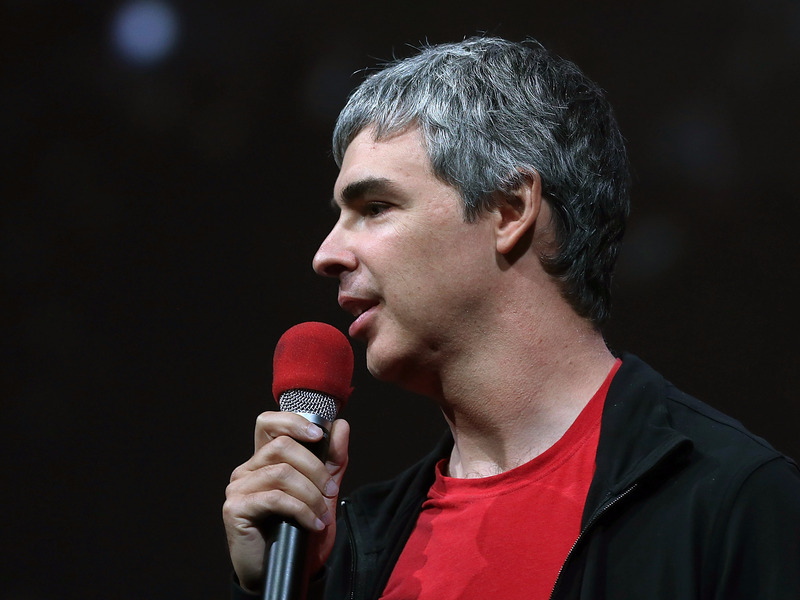 Getty / Justin SullivanLarry Page. 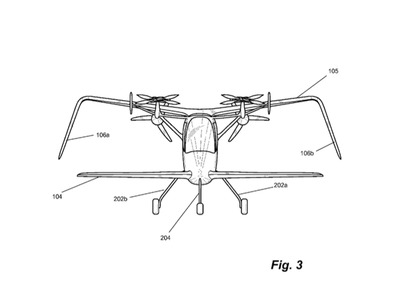 Google cofounder Larry Page has secretly spent more than $US100 million of his own money building flying cars, according to a bombshell new report from Bloomberg. The billionaire CEO of Google parent company Alphabet has funnelled cash into two different companies working on the space-age technology — while working so hard to keep his involvement a secret that employees of one of the companies wouldn’t even say his name. One of the companies, Zee.Aero, was launched back in 2010. It is based in Mountain View, near Google’s offices, and has nearly 150 employees. It even has two prototype vehicles that it tests regularly. 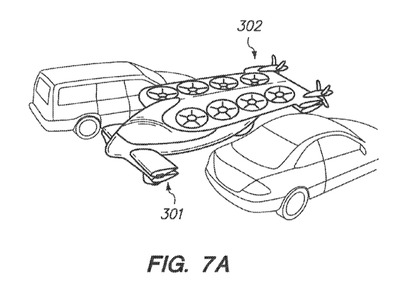 Thanks to a series of patent filings, we can see the kind of flying car designs that the Zee.Aero has experimented with. 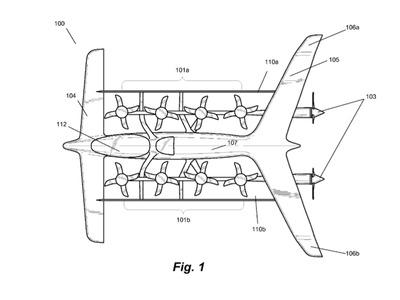 Bloomberg reports that it is moving away from these towards a “simpler, more conventional-looking design” — but the diagrams still give a glimpse at what’s inside the incredibly secretive project. First, here's an old patent that was granted in January 2016. 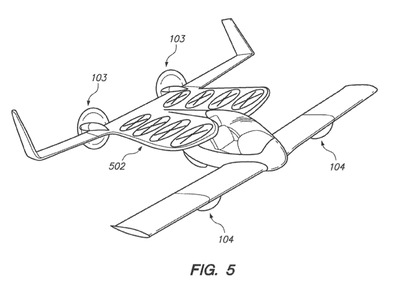 It has propellers and plane-like wings. 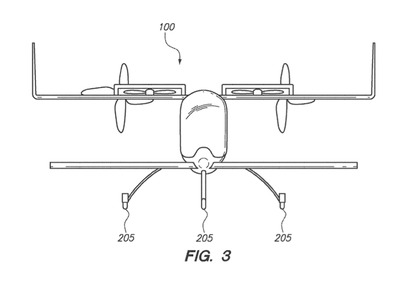 Its side profile looks a lot like a conventional small aircraft. 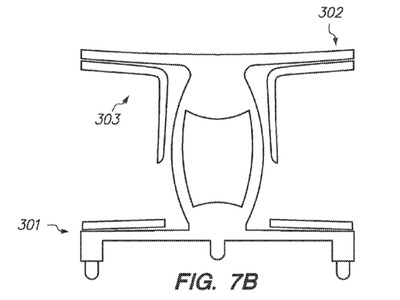 Bloomberg says the company worked on this design -- patent no. 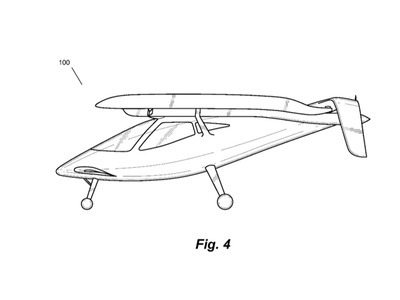 9,242,738 -- for several years, but none of the prototypes they built were large enough for a human pilot. Here's a slightly different, more streamlined one. 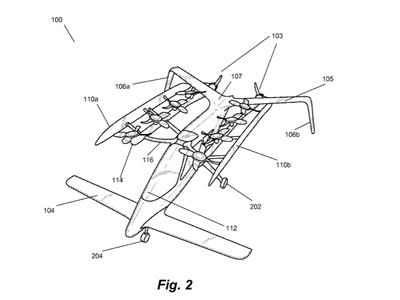 The propellers allow the aircraft to take off and land vertically. 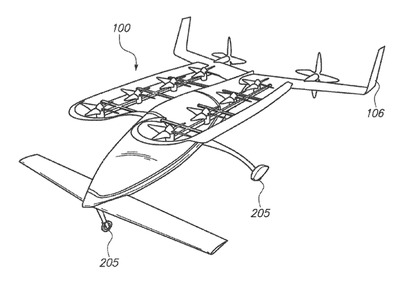 The end goal of 'flying cars' is a light aircraft that can be used in commuter-style situations. 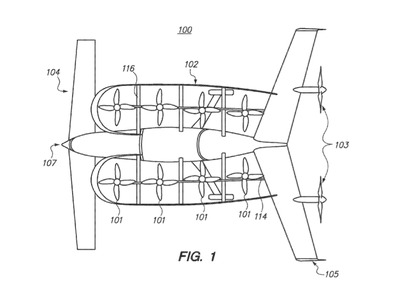 It will primarily fly -- though the diagrams do show wheels for taxiing around. Bloomberg's report also says the vehicles might be autonomous -- that is, they may fly themselves, like self-driving cars do. ... so it could be left in car parking spaces.